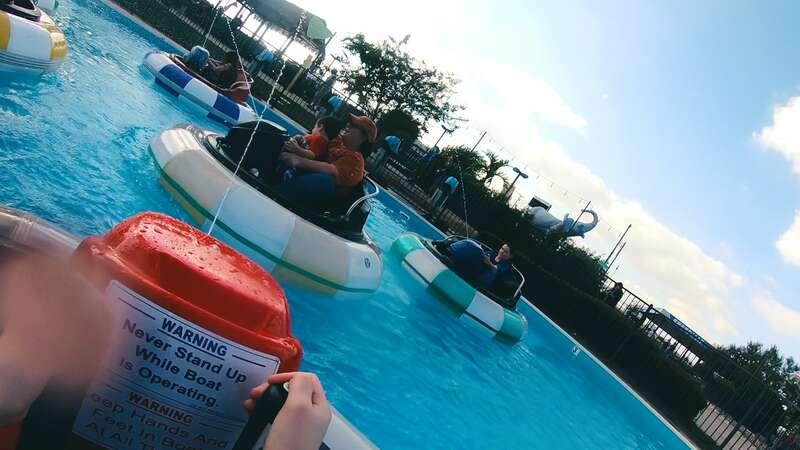 Climb aboard to begin splashing, bumping, and squirting each other on these driver operated boats. Like bumper cars, only on water! 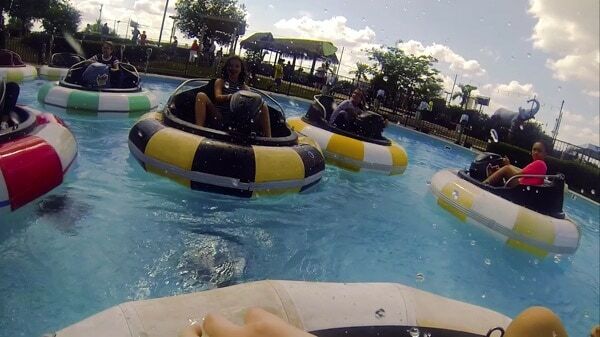 Bumper boats are more fun than you can imagine. When it’s hot outside, nothing cools you off like your own naval battle in our giant pool full of boats. You drive the boats. You fire the cannons. 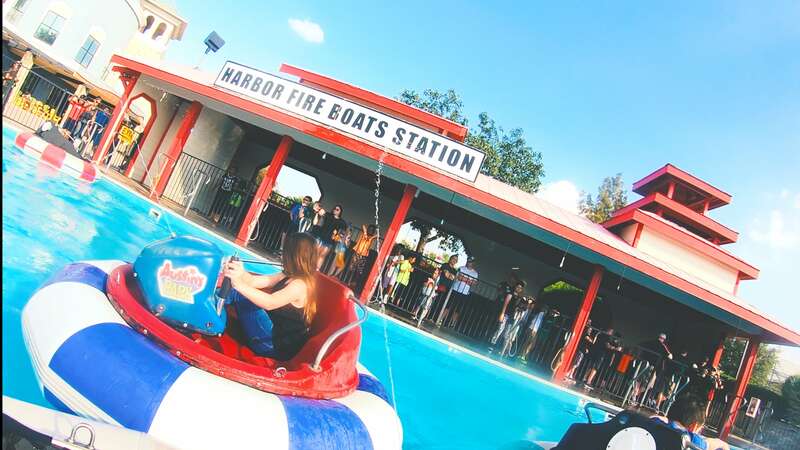 You have all the fun as you soak down your friends in a friendly competition of boats, bumps and super soakers. Each boat is armed with a water cannon that fires a steady stream of water at neighboring vessels. You can even attempt to spray those standing on the edge of the water! Whether in your boat or standing on the sidelines, you are bound to get splashed a bit, so prepare yourself! Mom or dad take a passenger so the family battle can begin! 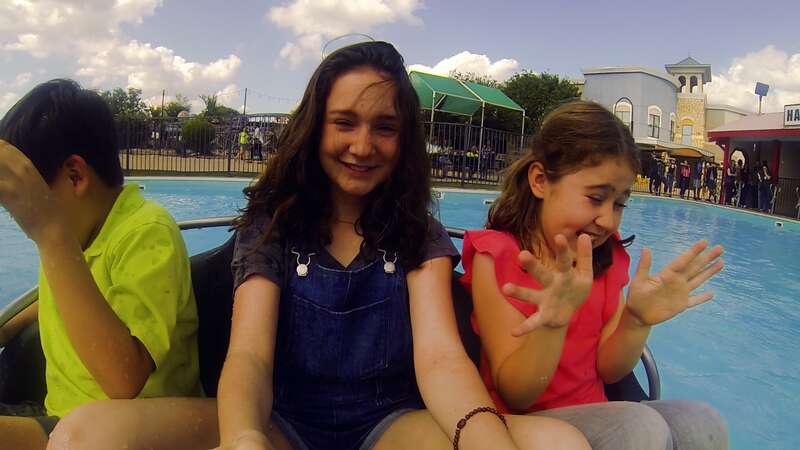 Even if they are not tall enough to drive, the younger family member can still enjoy the fun.